Fiat is serious about its performance-oriented cars. After launching the Abarth 595 Competizione in India two months ago, the company is back with two more models – the premium hatchback Abarth Punto and the crossover Abarth Avventura – in India at a starting price of Rs. 9.95 lakh (ex-showroom Delhi). The Abarth Punto is a powerful version of the Punto Evo and is designed for the racing addict in you. The car comes with 1.4-litre T-JET turbocharged petrol engine that produces 145bhp power at 6,000rpm and 200Nm torque at 1,750rpm. The Abarth Punto can jump from 0-100 km/h in 8.8 seconds. According to the automaker, the Abarth Punto is the fastest hatchback in its segment and also manages to offer a mileage of 16.3 km/l. The design of the Abarth Punto is extremely stylish and comes in two colours – Hip Hop Black and Pearl White. The car comes with Hydraulic Power Steering for greater control at turns and while driving. It also features a 16-inch scorpion sting shaped alloy wheels, which adds to the overall attractiveness of the car. The Abarth Avventura also comes with the same engine and is also expected to sport a similar interior and exterior design. It will come in two colours – Pearl White and Exotica Red. The Avventura can go from 0-100 km/h in 9.9 seconds and gives a mileage of about 17.1 km/l. Bookings for the Abarth Punto have commenced with a downpayment of Rs. 50,000. 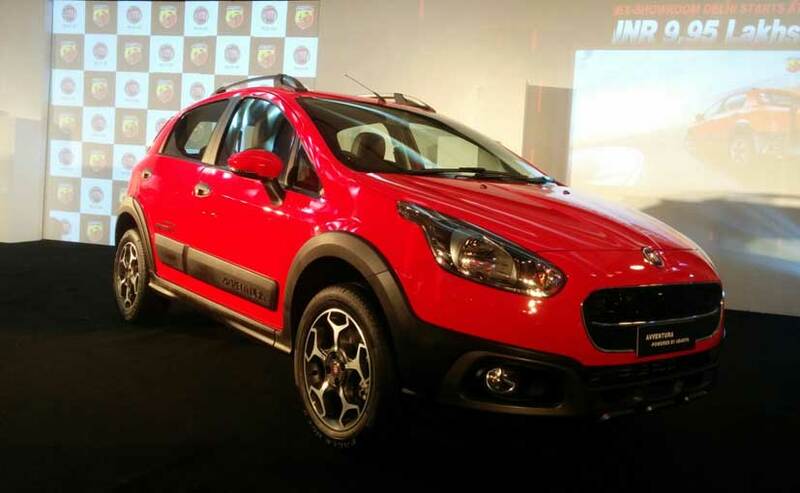 No word yet on when bookings for the Avventura will begin.